After all, who wants to run out to the grocery store? ….Especially after a busy day! 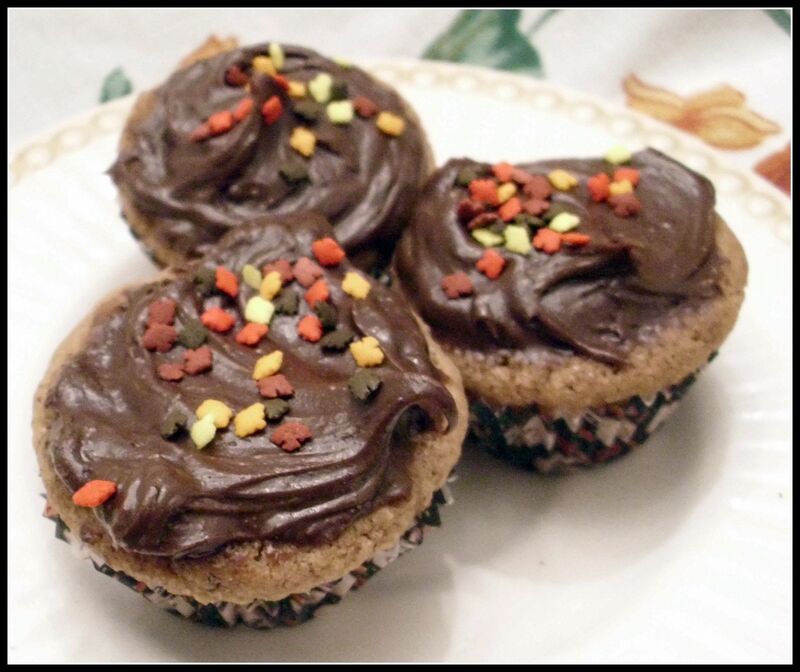 With all the Fall Parties at school this time a year, I developed the recipe just in case this happens… My son and I were brainstorming some ideas. They love helping with this blog project. (Probably because they like eating the goodies..LOL) Anyway, he asked if I could make a make a cookie that was crispy and chewy at the same time… In my pantry I had a box of purchased cookie mix…. We were good to go…. 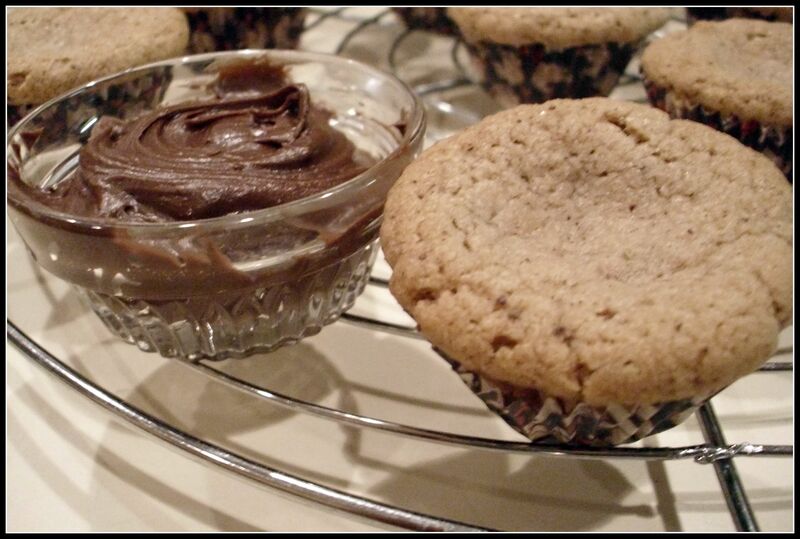 The recipe we created resulted in mini-cupcakes that had a cookie top and a cupcake bottom. He loved them and took them for snack every day last week. Line a mini muffin pan with liners. Open the cookie mix up and set aside (or toss) the spice packet that came with the cookie mix. In a large bowl, mix the cookie mix, egg, butter, 2 teaspoons of cinnamon , cocoa powder and water until well blended. Fill muffin liners about 3/4 full. Bake for 12-15 minutes or until done. They will be dimpled on top. Let the mini cupcakes cool on a wire rack. Meanwhile, use a spatula to scoop out 1/2 container of pre-made chocolate fudge frosting into a small bowl. Stir in vanilla and remaining 1 teaspoon of vanilla. When cookie cupcakes are cool, top with frosting and sprinkles.